Faye Spiteri joined the Fronditha Care board in December 2009 and is the current President. She is a member of the Governance Committee and Convener of the Communications Committee. With a background in strategic leadership roles across the public, corporate and Third sectors, she has a unique perspective on the challenges and successes that organisations are experiencing today and recognizes the critical role the Fronditha Care leadership team has in crafting a company vision that has the best possible outcomes for the community. 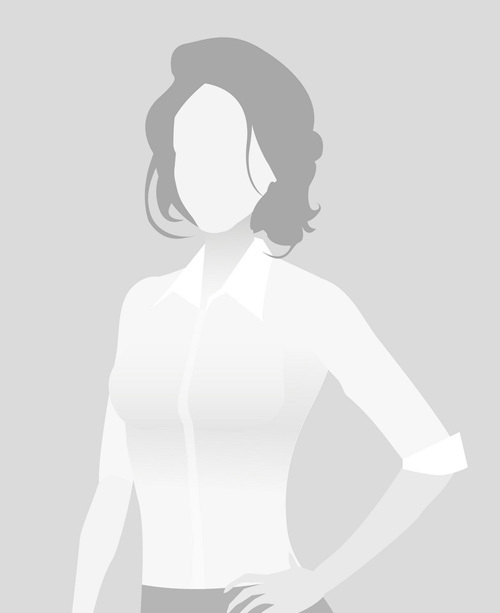 Faye is a Partner at Hall & Partners, a leading global strategic brand consultancy. She is an integrated campaign specialist with broad expertise in all aspects of multi-channel communications and has wide experience in the design, development and evaluation of social marketing and brand positioning campaigns. 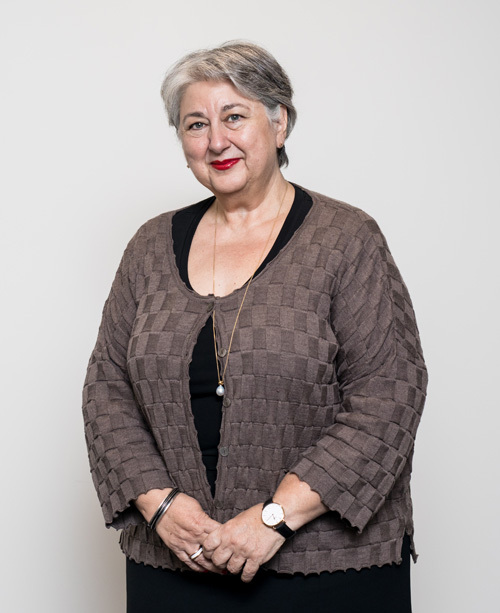 Faye has led development of multiple award-winning projects that have engaged audiences and driven behaviour change and was a recipient of the Premier’s Achievement Award. Faye is a member of the Australian Institute of Company Directors. 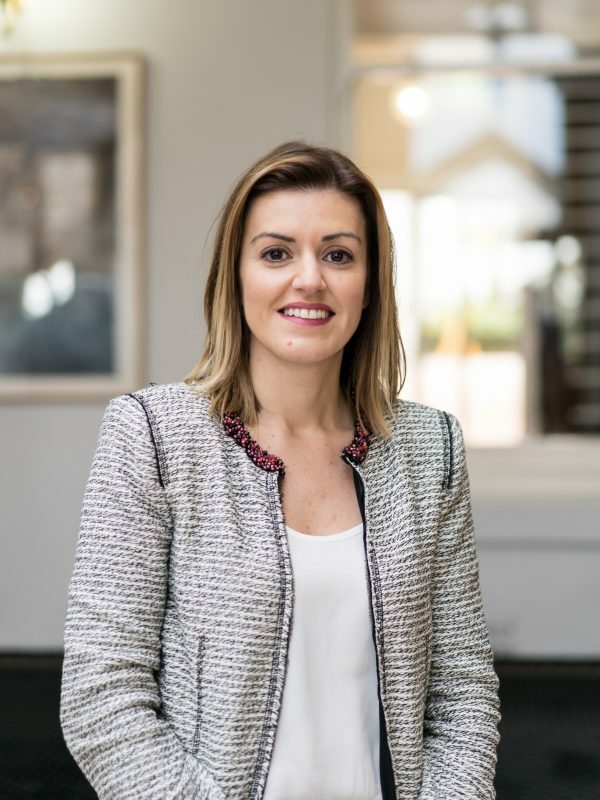 Soula Cargakis joined the Fronditha Care board in 2016, and is CURRENTLY THE Vice President of Fronditha Care and also a member of the Risk Management & Finance Committee. Soula started her career in financial services in 1987 and over the last 30 years has held numerous senior management roles. She is currently the CEO of Association Advisory Practices that she founded in 2006, a subsidiary of Centrepoint Alliance where she has worked for the past 13 years. She is also on the executive team of Centrepoint Alliance responsible for all distribution and marketing for the group and has been a member of a number of advisory boards. Jill Taylor joined the Fronditha Care board in 2013. She is the Secretary, and is a member of the Risk Management & Finance Committee and the Communications Committee. Jill is a director of Power Lending Group Pty Ltd, a finance consulting firm. Prior to that, she performed as a licensed investigator for JBSA Consultants (Investigations & Reviews), focussed primarily on matters of forensic fraud as well as highly sensitive cases, such as the abuse of children in State care. Prior to this role, Jill was employed as Chief Financial Officer of Silver Top Taxi Service Ltd, where in addition to leading the Finance function, she sat on the Company’s Takeover & Mergers Committee. In this role, she was instrumental in the purchase of SilverComm P/L, a business she later came to lead as General Manager. During her time with Silver Top, Jill was also appointed to the Ministerial Committee for Public Transport as a key representative for the taxi industry. 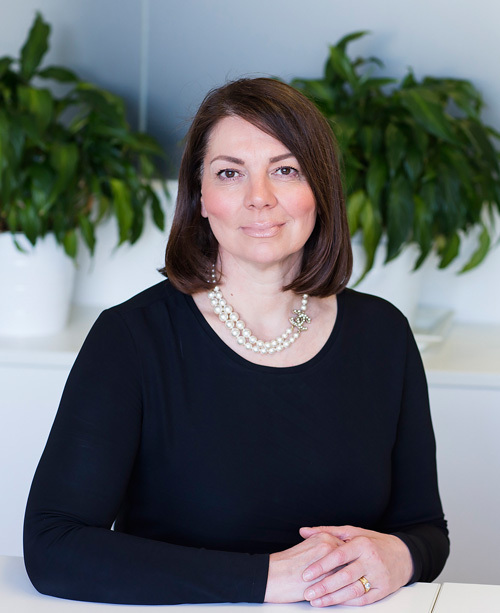 Jill has spent the majority of her career in the accounting sector, as a registered company auditor, as a tax consultant for DBA Accountants and as a Partner with Greenfield Fox Hansen P/L. Jacob Fronistas has been a member of the Fronditha Care board for 36 years and is a Life Governor of the organisation. He has held numerous positions on the Board, including being President from 1988 to 1994 and 1998 to 2007, as well as Senior Vice-President, Junior Vice-President and Assistant Treasurer. He has been the Treasurer since 2012 and the Convener of the Risk Management & Finance Committee. Jacob received an Order of Australia medal in 2006 for his voluntary work in the Greek community, specifically in aged care. Jacob is a Barrister and a member of the Victorian Bar since 1983; Jacob is an Accredited Mediator. 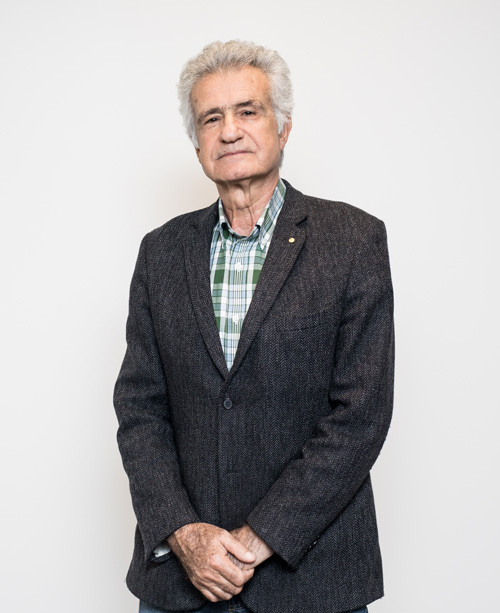 He was the Chairperson of the Federal Government’s Greek Community Aged Care Steering Committee from 1994 to 2000, and a Contributor to the working party for Equitable Delivery of Services to the Ethnic Aged, which was under the auspices of the Ethnic Communities Council of Victoria in 1998. He has served on the Board of other organisations including 4 years as the Treasurer of the Kastellorizian Association of Victoria, 4 years on the Antipodes Festival Board and 2 years on the Asclepius Board. Jacob is a member of the LASA Financial Discussion Group. 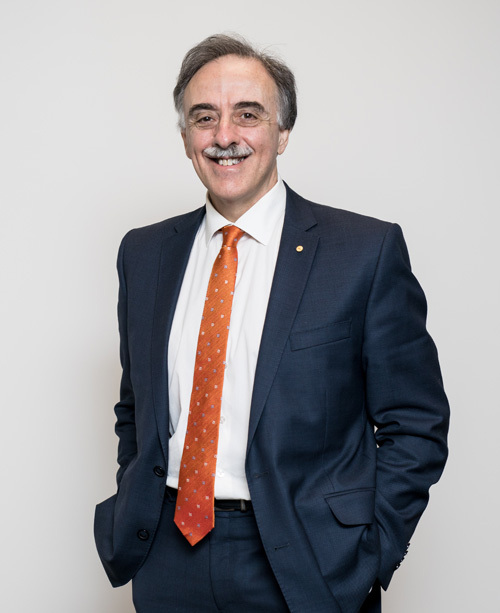 For his voluntary work for the Greek elderly, Jacob has received the Victorian State Government Certificate of Appreciation for voluntary service to the community (2001), Victoria’s Multicultural Award for Excellence for Meritorious Service to the Community (2012), and the Hellenic Distinction for Community Welfare (1991). In 2000, he was recognised as Kastellorizian of the Year. Paul Mavroudis joined the Fronditha Care board in July 2010. He has served as a member of the Communications Committee and is currently a member of the Policy & Research Committee. He is the Sales Manager of Parthenon Travel, a well-established travel business for 32 years. Paul is a member of the Greek Orthodox Community of Melbourne and Victoria and was a member of the Pan-Macedonian Association of Melbourne and Victoria, where he has held the position of Vice-President and was responsible for Public Relations for many years. Paul is a member of the Victorian Branch of SAE World Council of Hellenic Abroad and he is in charge of Public Relations. He is currently the President of the Thessaloniki Association and has served the association from that capacity for six years. In 2009, he received an Award for Excellence in Multicultural Affairs from the Victorian State Government. In 2010, Paul became the President of the Hellenic Cultural Council. In recognition for his service to the Greek community, Paul was awarded an Order of Australia Medal in 2015. Professor Eugenia Pedagogos is a Nephrologist as well as Medical Director and Director of Medical Innovation at Epworth HealthCare. She has a strong track record of research, education and high quality clinical services delivery. Professor Pedagogos is passionate about providing the very best in patient care and about optimising research and implementing change. She has an excellent track record for collaborating with researchers both nationally and internationally and has extensive experience as a physician in public and private health services settings. She actively contributes to the operational and quality management activities in organisations and has a reputation for fostering collaborative working relationships with medical, nursing and allied health staff. 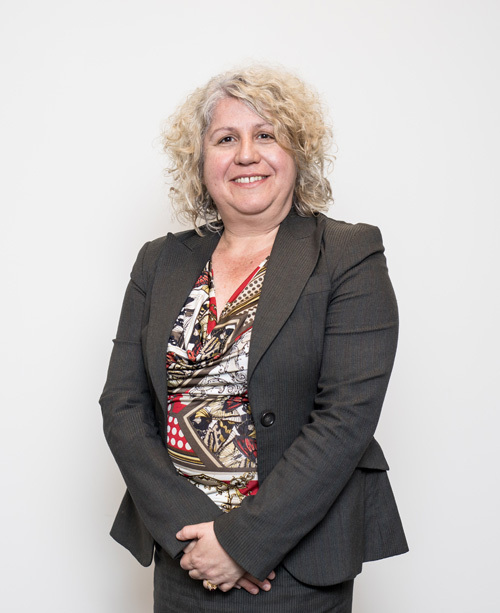 She has been an invited speaker to national conferences or symposia and has published over 50 articles and abstracts and has a keen interest in clinical governance having chaired multiple committees at state and local level as well as having served as an elected Board Member of the Royal Australian College of Medical Administrators. Tim Dionyssopoulos joined the Fronditha Care board in 2016. He is a member of the Policy & Research Committee. Tim is currently a member of the Community Advisory Committee for the Southern Metropolitan Cemeteries Trust, and has been a legal volunteer at Pronia (Australian Greek Welfare Society) for over 14 years. He has previously been a board member at the Southern Migrant and Refugee Centre, as well as member of the Committee of Management of the Springvale Multicultural Men’s Shed, helping to establish Victoria’s first multicultural men’s shed. Tim is a Principal at Maurice Blackburn, a leading social justice law firm, and, since 1999, an Accredited Specialist in Personal Injury Law. 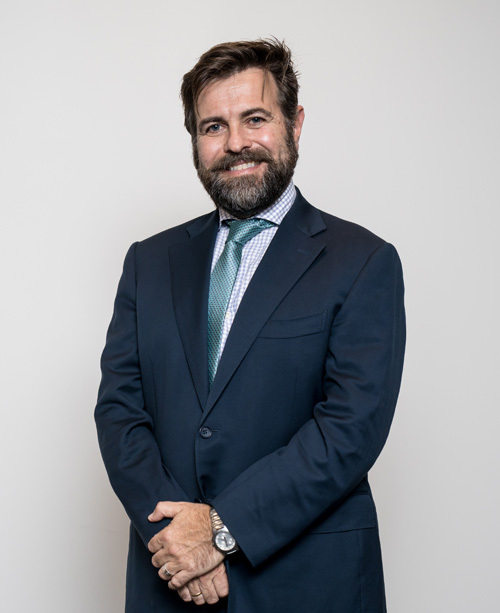 He is a member of the Law Institute of Victoria, and the Australian Lawyers Alliance, and has been a past member of various committees for those organisations. Tim has extensive legal and management experience, and has completed the Leadership Development Program at the Melbourne Business School. Pam joined the Fronditha Care board in November 2018. Pam is a Clinical Program Manager at Neuroscience Trials Australia, a not for profit contract research organisation that is a subsidiary of The Florey Institute of Neuroscience and Mental Health. Pam has over 15 years experience in the pharmaceutical industry spanning across sales, marketing, project management and clinical research. The bulk of her career has been spent in clinical research, leading global research teams and projects for testing new medicines in human populations. This work has spanned a variety of therapy areas, including vaccines, oncology and cardiovascular disease. Most recently, Pam has moved into brain and mental health research, including dementia and Alzheimer’s Disease. Pam holds a BSc (Hons) in Pharmacology from Monash University, and in 2016, completed an Executive MBA at Melbourne Business School. Aspasia worked as a government lawyer for over 25 years. During this time, Aspasia gained experience working within a statutory and regulatory framework with an understanding of state and commonwealth taxation laws, administrative law, financial management legislation, government procurement processes, freedom of information laws, privacy laws, human rights legislation and other legislation relating to conduct of employees and general governance. Aspasia provided advice on the applicability of state tax laws to a wide range of matters and complex business transactions. Aspasia conducted litigation in a broad range of state tax matters in the VCAT, Victorian Supreme Court and High Court of Australia. As a Member of the Executive team of the State Revenue Office of Victoria, Aspasia was on a number of Executive Sub-Committees, including the Litigation Committee (as Chair), the Policy Sub-Committee, the Compliance Sub-Committee and Chairperson of the Land Tax Hardship Relief Board.